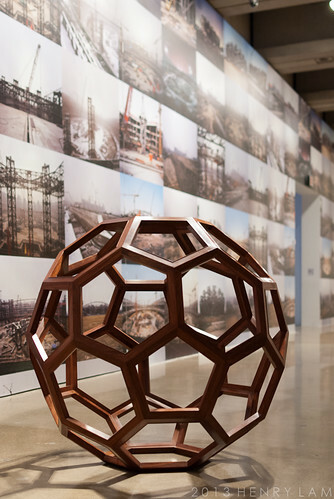 When I told one of my high school friends that I was going to Toronto, he highly recommended dropping by the Art Gallery of Ontario (AGO) to see the Ai Weiwei exhibit. Thankfully, the exhibit had been on for a while and the David Bowie exhibit just started the weekend I was there. So basically, I wasn’t fighting to buy a ticket. The David Bowie exhibit had already sold out for the day. After rushing with my carry-on to the AGO, I was all heated and needed to drop off my stuff. Thankfully, the AGO has a great storage area for times like this. Then I was able to enjoy the art gallery without carrying all my bags and jacket. 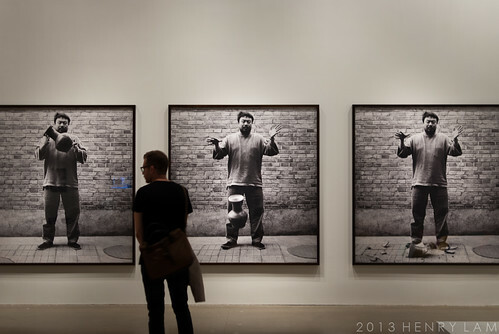 For those who are not familiar with Ai Weiwei, he is a Mainland Chinese artist who has been famously put under house arrest by the PRC government for controversial comments and artwork. His compilation of the names of lost children in Sichuan after the giant earthquake back in 2008 helped to stir the pot with government officials who were not eager to share the exact scale of loss. Ai Weiwei certainly doesn’t shy away from saying what he thinks. 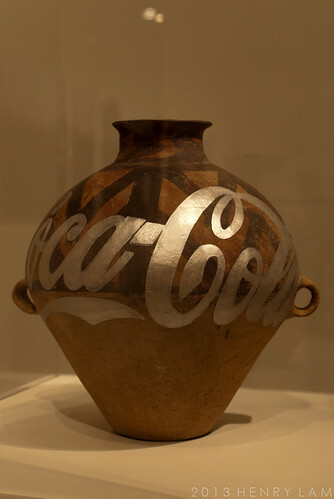 Much of his work is a combination of something traditionally Chinese and turning it on it’s head. 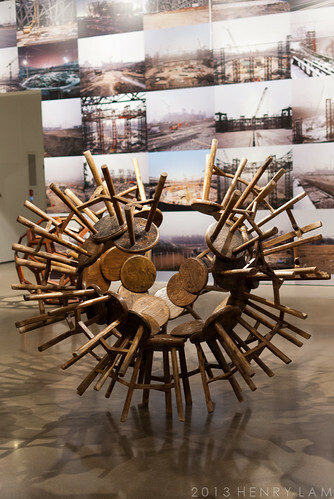 He can take ordinary Chinese stools and create a new form. 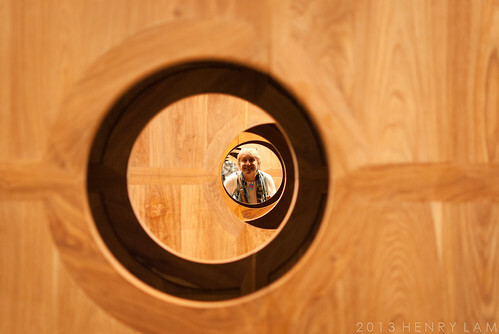 He also takes traditional wood cabinets or logs and reinterprets it. 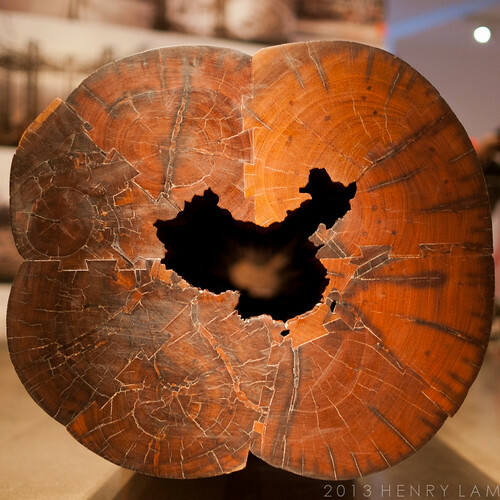 The log with the shape of China all the down its length is particularly impressive to me. 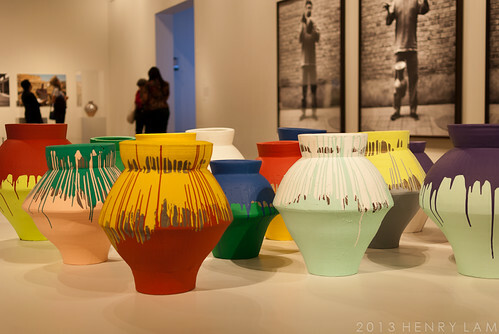 There was more re-interpretation by Ai Weiwei with century old vases. I feel both impressed and saddened. He uses simple, ordinary vases that are very old and have their own historical value, but either paints on them or breaks them. The heritage person in me is screaming “No!! !” However, his re-interpretation is as much playful as it is destructive to tradition. 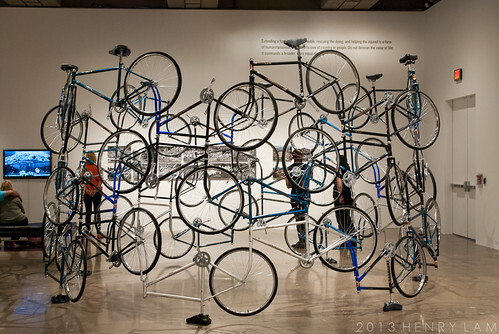 Ai Weiwei also played around with a 20th Century Chinese icon – the humble bicycle. 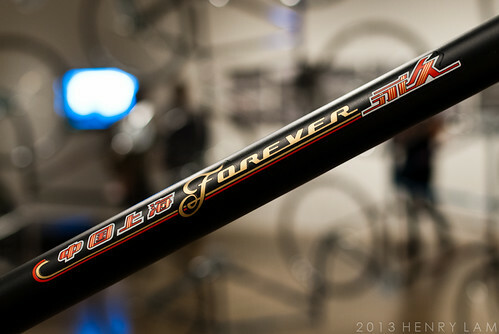 Forever is one of, if not the, top brand of bicycles in the People’s Republic of China. He’s mashed all these bicycles together in a giant circle. Then there’s the most powerful, but simple piece of the exhibit. It’s the giant wall of names. 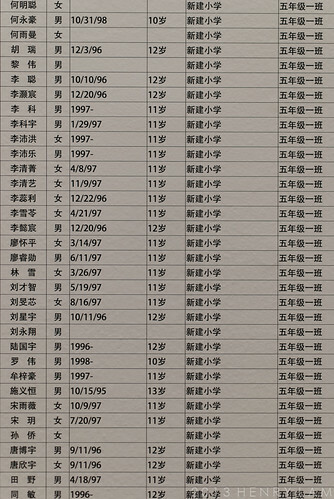 The names are of the children reported lost during the Sichuan Earthquake of 2008. 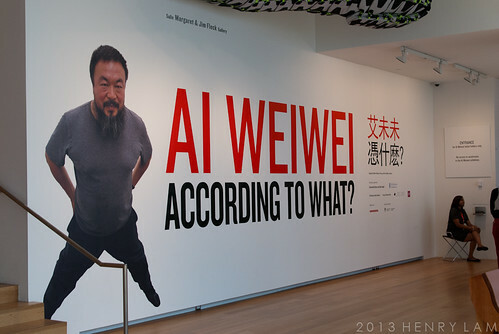 This is not a list compiled by the government, but personally by Ai Weiwei. He travelled throughout the affected areas and talked to the parents of the deceased children. 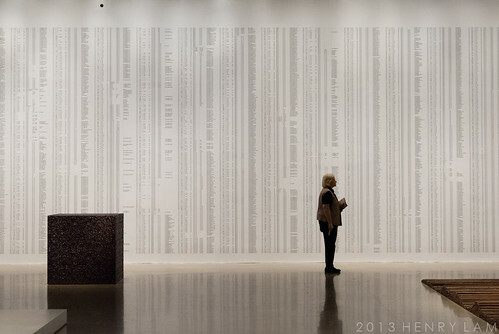 Each line lists a child’s name, gender, birthdate, age at time of death, school, and class. When I read the names, I think that my nephew was the same age as these children. He’s now 16, but these children’s lives ended abruptly in a collapsing school building when they were 11 years old. Overhead, loudspeakers broadcast each child’s detail out loud. These were recorded in response to Ai Weiwei’s request that users of Sina Weibo (China’s answer to Twitter) help him to record every single child’s details in the spoken word. I’m very happy that I had a chance to visit the AGO. 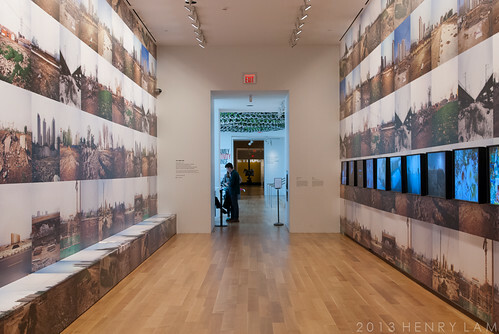 There are many other collections to see at the AGO, but I only had an hour to enjoy the Ai Weiwei exhibit and didn’t have time for the rest of it. 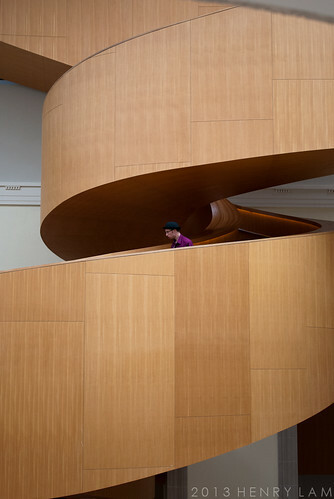 If art is something that tickles your fancy, then put the AGO on your list when you visit Toronto. At the end of September, I had the chance to be in Toronto for a work-related meeting. The weather in Vancouver had already an added crispness while Toronto was still hovering in the low 20’s and high teens for temperature.